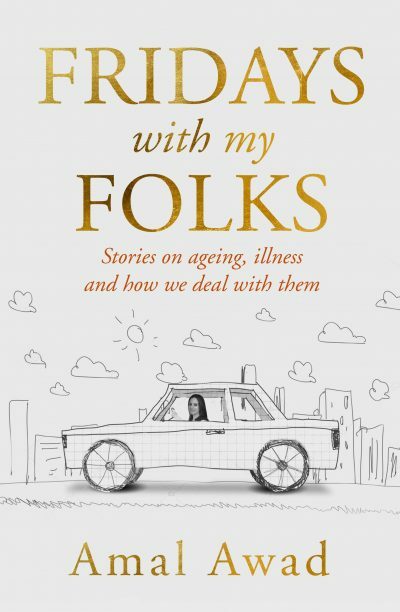 In her fifth nonfiction book, journalist Amal Awad investigates ageing in Australia from her perspective as an adult daughter grappling with a parent’s decline. Woven into her analysis is the story of Awad’s father, whose illness—kidney failure—has forced him to face some of the major factors affecting older people: mobility loss, lack of an occupation and increased dependence on others. Awad’s experience as a member of the so-called ‘sandwich generation’—those who raise their young families while also caring for ageing parents—forms the basis of this book. She also includes expertise from health care professionals and lawmakers, and she interviews others in similar positions—retirees, those in aged-care facilities and people being cared for by family—documenting their struggles with genuine heart. What becomes clear in Awad’s research is society’s clear discomfort with ageing, and how it is framed as a failure in our youth-obsessed society. An admirable strength of Fridays With My Folks is the strong personal thread, which connects readers to Awad’s father, a Palestinian migrant and ambitious adventurer. It’s ideal for readers who identify as late millennials or Gen Xers, who are starting to see their baby boomer parents age.